Well I was first and he posted his post 12 hours later. as the Rise thread is quite dead, you would think he would check the previous posts first. I wasn't taking it seriously. Took me a bit to track it down, but you know what's kinda odd..? 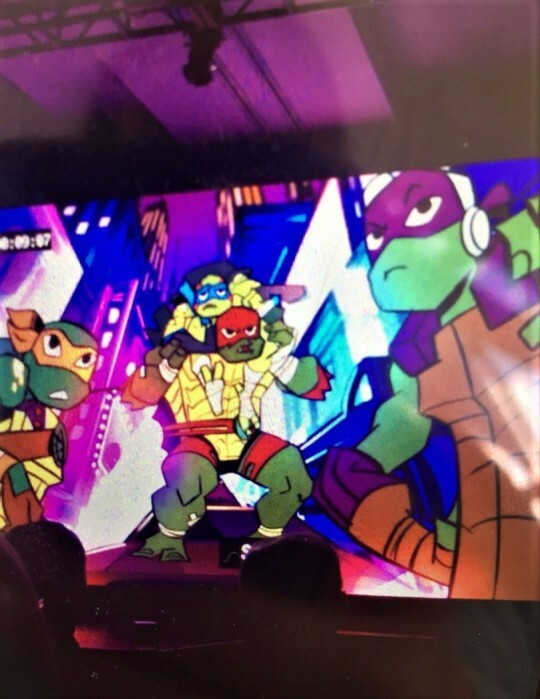 This far in and we've still yet to see anything related to that first leaked image. 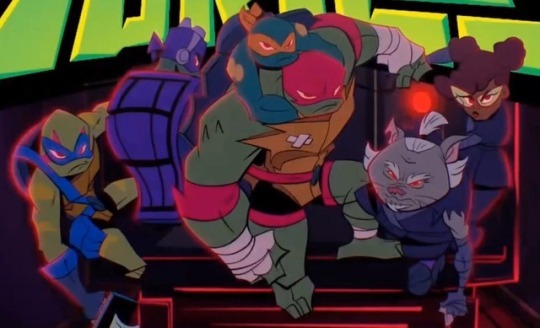 Maybe it was just test animation not related to anything we'll actually see (the art does look a bit more simple or maybe it's just image quality in the pic), but the content of it seems too oddly specific to not be story based. Hmm. edit: Watch, it'll probably prove I spoke to soon and show up in that next longer one everyone believes Shredder is showing up in. Last edited by IndigoErth; 04-14-2019 at 10:20 AM. This is a pretty cool pic, it's from a promo for Shadow of Evil. They look pretty badass, but they look like they are under a spell due to a reddish glow around them and there eyes. I'm looking forward to this episode. I watched this a few days ago and I liked it. So it wasn't cringey at all. The New Yorkers must be nuts if they fall for a disguise like that. Who'd ever seen a short man with a head covered in grey fur? Something interesting is that in the trailer you can see the foot soldiers actual look human now, and not the normal origami ninja. Perhaps Draxum shaking things up with the foot?